Review: I was at the movies recently and saw a preview for a new Michael Fassbender thriller called 'The Snowman.' 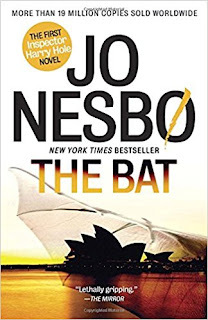 I thought it was an odd title and researched it...and was thrilled to discover it's based off of a book series called Harry Hole (oddly enough, they made book #7 into a movie but none of the earlier ones). Reading reviews, I discovered book 1 was translated into English after several of the later books were already published and several fans said book 1 isn't the best but don't give up. Okay...I went into it with low expectations. 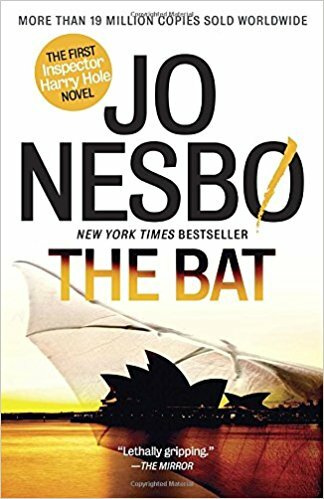 Harry Hole is a Norwegian detective who is sent to Sydney when a Norwegian woman (who is somewhat of a local celebrity) is murdered there. Harry teams up with a local detective and they work the case. I actually enjoyed this one. Harry Hole is an acquired taste. While he initially came off as someone with no personality, we slowly learn about his background and his past. He is a man with a lot (A LOT) of personal issues. There was a good amount of Aboriginal history that was pretty interesting and I really liked the dynamic between Harry and Andrew (the Sydney police officer he worked with). I will definitely continue with the series.